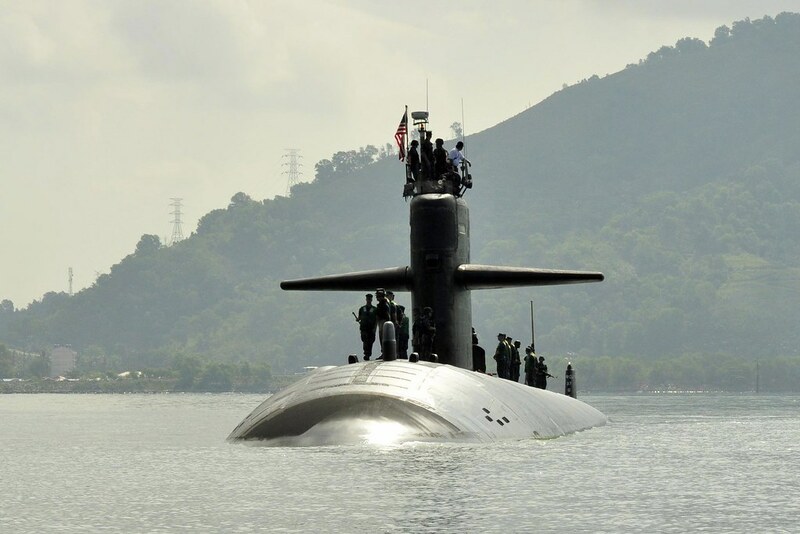 YOKOSUKA, Japan - The Los Angeles-class submarine USS Louisville (SSN 724) arrived in Subic Bay for a brief port call that highlights the strong community and military connections between the Philippines and the United States, Feb. 14. The crew will participate in a series of community service projects and sporting events during the visit. Louisville will also use the stop to conduct some minor maintenance with the assistance of Filipino companies. The Philippines is a longstanding treaty ally of the United States with a history of partnership of more than 70 years. The American and Philippine militaries have worked closely together on areas of mutual interest such as humanitarian assistance and disaster relief, counter terrorism, cyber security and maritime security. Louisville, based at Pearl Harbor, Hawaii, is deployed to the U.S. 7th Fleet area of operations in support of security and stability in the Indo-Asia-Pacific.